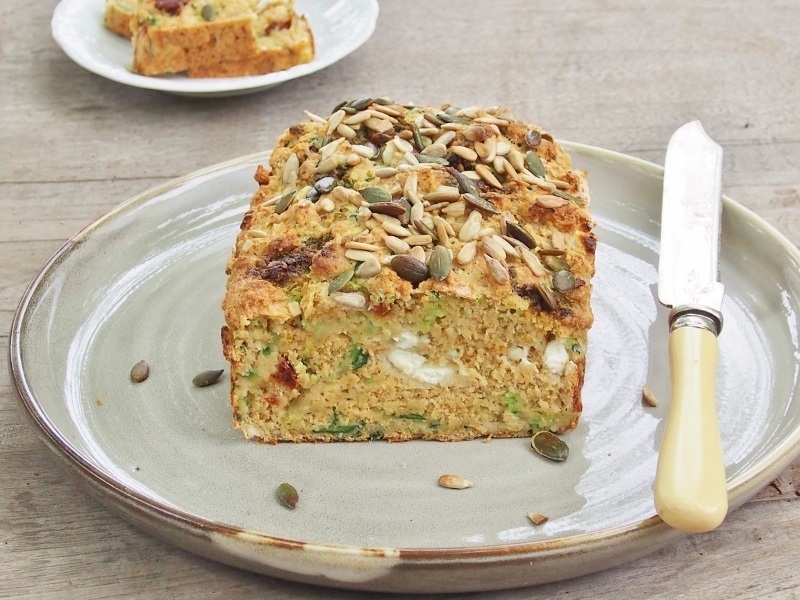 Here is a delicious, rustic quick ‘bread’ you can throw together in minutes! 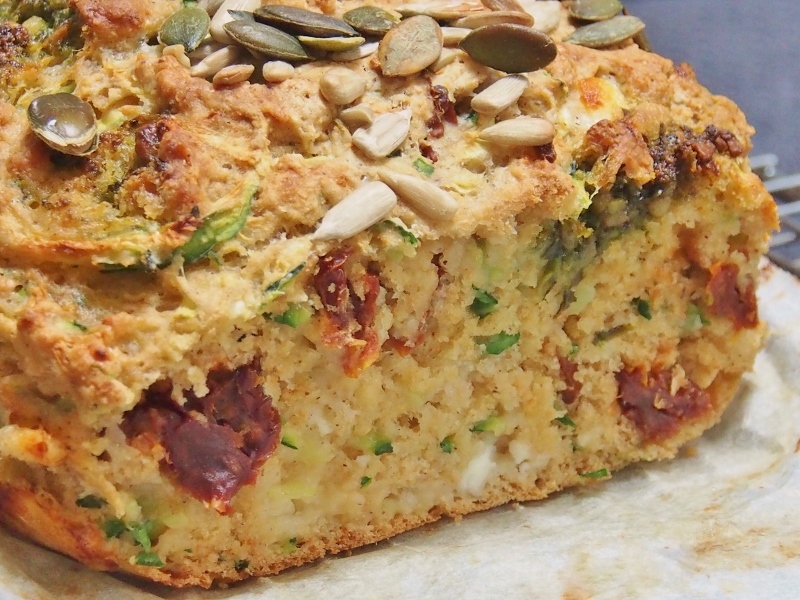 This month’s recipe redux challenge was to make a new quick bread creation. Quick bread is basically a bread made without yeast. 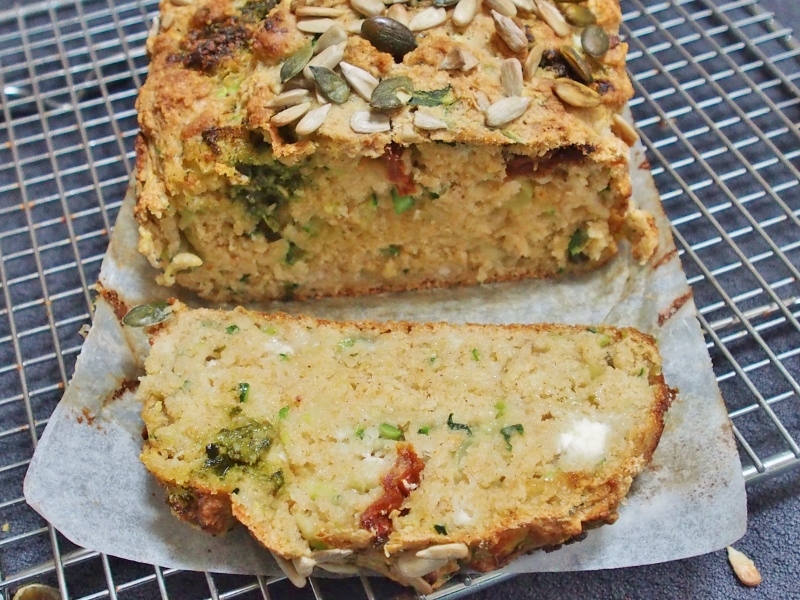 I decided to do a variation on my soda bread recipe by adding zucchini, sun-dried tomatoes, feta and basil. Quick, easy and delicious. You need no more reasons to give this a go! Sift the flours, psyllium husks, baking powder and bicarbonate of soda into a large mixing bowl. Crumble in the feta cheese, then add grated zucchinis, sundried tomatoes and basil. Pour in the buttermilk and using a spatula, stir to bring it all together. If necessary, add some extra milk; it should form a soft, sticky dough. Tip the dough onto a lightly floured work surface and knead lightly for about a minute, just long enough to pull it together into a loose ball but no longer. You’re not looking for the kind of smooth, elastic dough you’d get with a yeast-based bread. 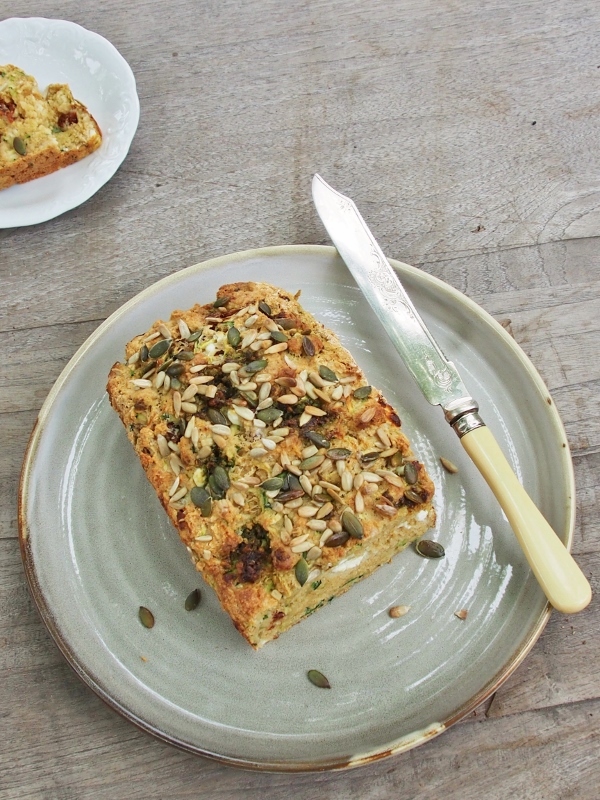 Put the dough in the prepared loaf tin, Brush the top with some of the extra milk, then sprinkle with the pumpkin and sunflower seeds. Put it in the preheated oven preheated and bake for about 40 minutes, until the loaf sounds hollow when tapped underneath. Cool on a wire rack if you like a crunchy crust, or wrap in a clean tea towel if you prefer a soft crust. Note – this could be made into individual mini breads. Just cut the dough into 10 even pieces, shape into little ‘rolls’, place on a baking tray lined with greaseproof paper and bake for 15-18 minutes. *Got no basil? Then use pesto! 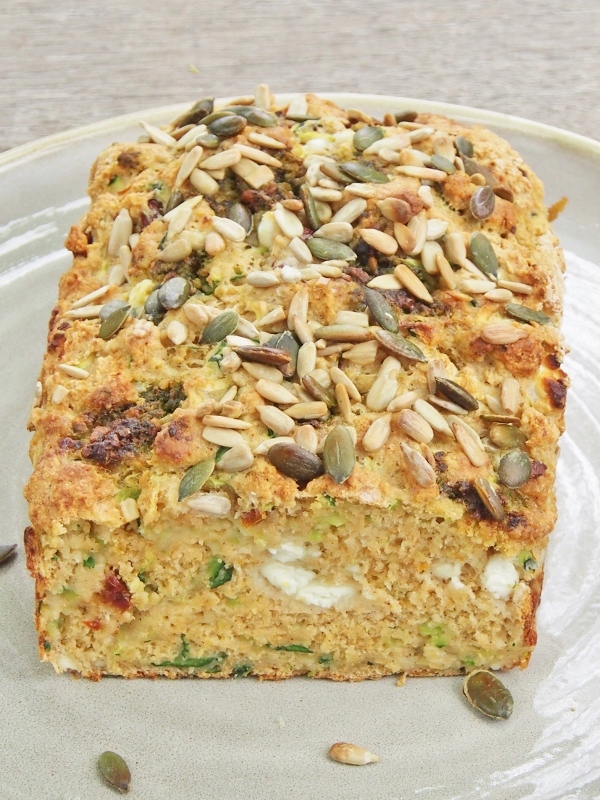 I didn’t realise until I started making this quick bread that the caterpillars had eaten all of our fresh basil, so I used about 2 tablespoons of pesto instead. After placing the bread in the loaf tin, I poked some holes with my finger, filled them with pesto, then smoothed the dough over the top to close them, before brushing with milk and sprinkling the seeds on top! 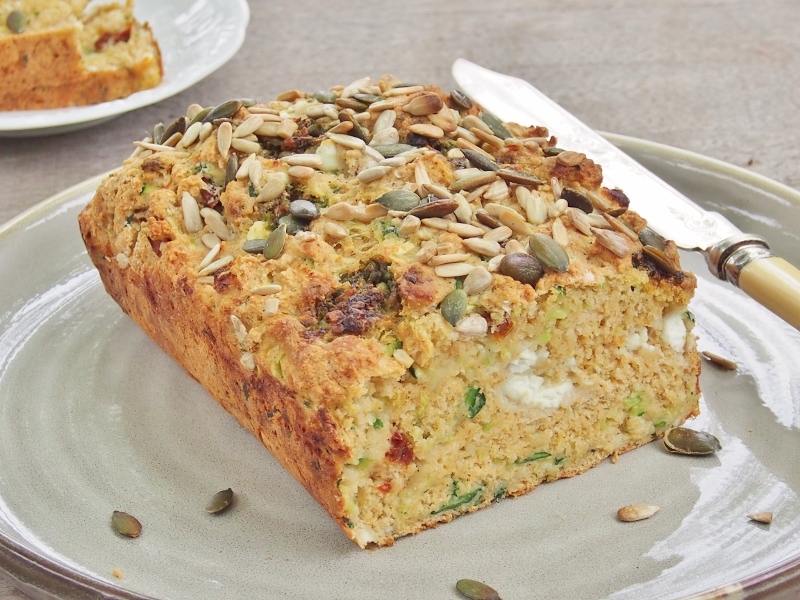 Addition – The next morning I toasted this bread and topped it with avocado and smoked salmon – YUM!! Caroline this looks delicious. Great combination of flavors.